Register now to receive many benefits: accumulate points and use your points to pay for your bill. 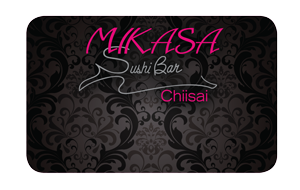 This is an exciting way to earn benefits by enjoying a meal at participating Mikasa Sushi Bar restaurants. Earn Points per $1 spent and use them to pay for your bills. Your online registration is required. Plus receive many exclusive promotions. PS. 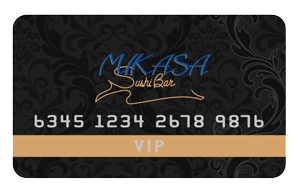 VIP cards are offered to customers by invitation only. To review program details please click on the respective links above.